The NWI plays a key role in development and transformation of the latest innovations into marketable fiber based systems ready for shipment to commercial, consumer and industrial users around the world. 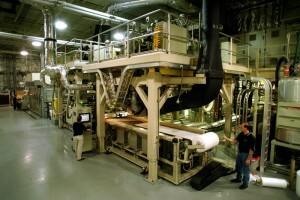 The Institute helps nonwovens companies meet product development objectives through access to the Institute’s state-of-the-art pilot and testing facilities at North Carolina State University’s Centennial Campus in Raleigh. The Institute’s facilities include laboratories dedicated to polymer characterization, fiber extrusion and lab scale meltblown. The pilot facilities include bicomponent spunbond and meltblown; staple line; needle punching; hydroentangling; thermal bonding and web composite capability. Analytical facilities offer the ability to analyze and evaluate materials performance according to many industry specific standard test methods. The use of these facilities is governed by a simple agreements called “Testing Service Agreement” or “Fabrication Service Agreement”. Our facilities become an extension of your capabilities – our experienced staff will help you innovate, and reduce your ideas to practice with state-of-the-art capabilities. For more information about how to utilize our testing labs and facilities, please send an email to NWI questions.